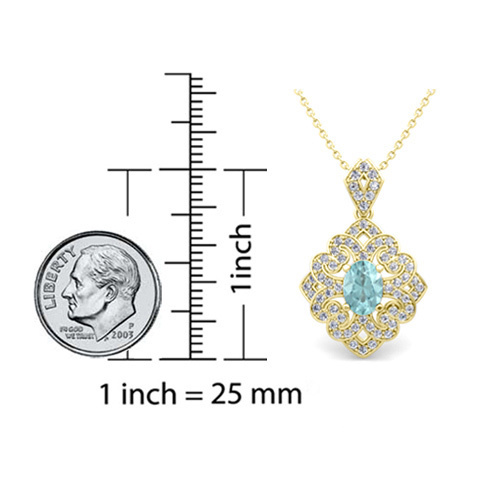 Custom drop necklace showcase a 7x5mm oval gem stone set beautifully in a 14k gold art deco inspired diamond and gemstone pendant with a matching gold chain. 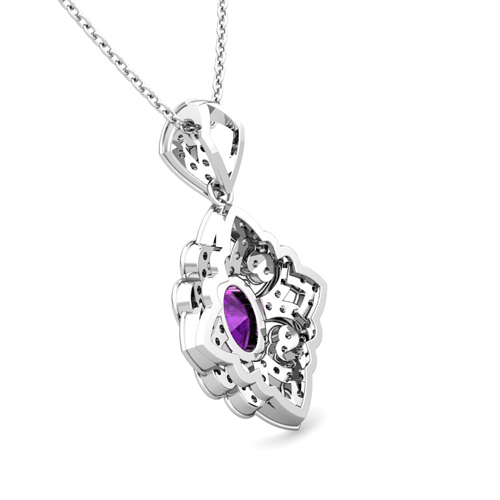 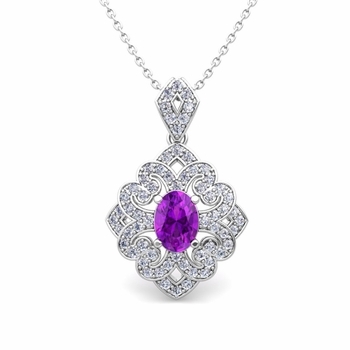 This drop necklace showcase a 7x5mm oval amethyst set beautifully in a 14k gold art deco inspired diamond and gemstone pendant with a matching gold chain. This drop necklace showcase a 7x5mm oval amethyst set beautifully in a 18k gold art deco inspired diamond and gemstone pendant with a matching gold chain. 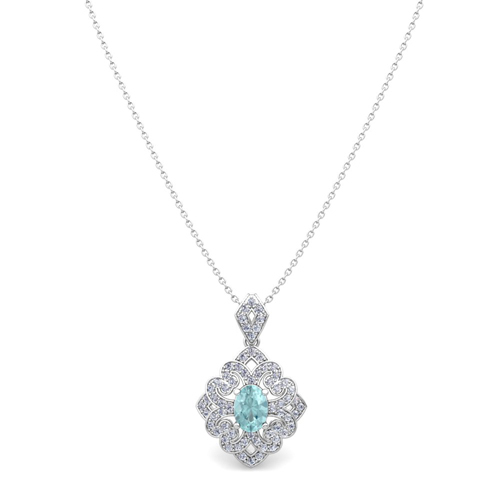 This drop necklace showcase a 7x5mm oval aquamarine set beautifully in a 14k gold art deco inspired diamond and gemstone pendant with a matching gold chain. 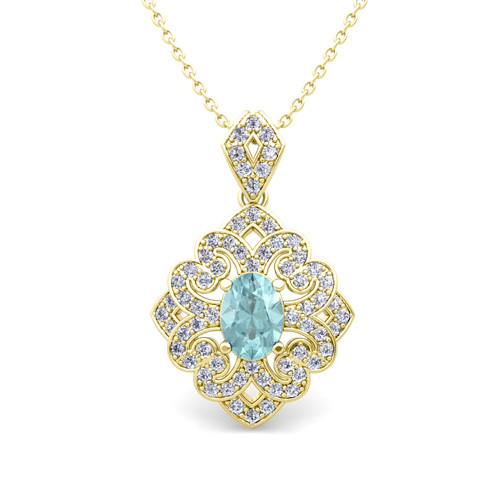 This drop necklace showcase a 7x5mm oval aquamarine set beautifully in a 18k gold art deco inspired diamond and gemstone pendant with a matching gold chain. This drop necklace showcase a 7x5mm oval blue topaz set beautifully in a 14k gold art deco inspired diamond and gemstone pendant with a matching gold chain. This drop necklace showcase a 7x5mm oval blue topaz set beautifully in a 18k gold art deco inspired diamond and gemstone pendant with a matching gold chain. This drop necklace showcase a 7x5mm oval sapphire set beautifully in a 14k gold art deco inspired diamond and gemstone pendant with a matching gold chain. This drop necklace showcase a 7x5mm oval sapphire set beautifully in a 18k gold art deco inspired diamond and gemstone pendant with a matching gold chain. This drop necklace showcase a 7x5mm oval pink sapphire set beautifully in a 14k gold art deco inspired diamond and gemstone pendant with a matching gold chain. This drop necklace showcase a 7x5mm oval pink sapphire set beautifully in a 18k gold art deco inspired diamond and gemstone pendant with a matching gold chain. This drop necklace showcase a 7x5mm oval yellow sapphire set beautifully in a 14k gold art deco inspired diamond and gemstone pendant with a matching gold chain. This drop necklace showcase a 7x5mm oval yellow sapphire set beautifully in a 18k gold art deco inspired diamond and gemstone pendant with a matching gold chain. This drop necklace showcase a 7x5mm oval Ceylon sapphire set beautifully in a 14k gold art deco inspired diamond and gemstone pendant with a matching gold chain. This drop necklace showcase a 7x5mm oval Ceylon sapphire set beautifully in a 18k gold art deco inspired diamond and gemstone pendant with a matching gold chain. This drop necklace showcase a 7x5mm oval ruby set beautifully in a 14k gold art deco inspired diamond and gemstone pendant with a matching gold chain. This drop necklace showcase a 7x5mm oval ruby set beautifully in a 18k gold art deco inspired diamond and gemstone pendant with a matching gold chain. This drop necklace showcase a 7x5mm oval emerald set beautifully in a 14k gold art deco inspired diamond and gemstone pendant with a matching gold chain. This drop necklace showcase a 7x5mm oval emerald set beautifully in a 18k gold art deco inspired diamond and gemstone pendant with a matching gold chain.